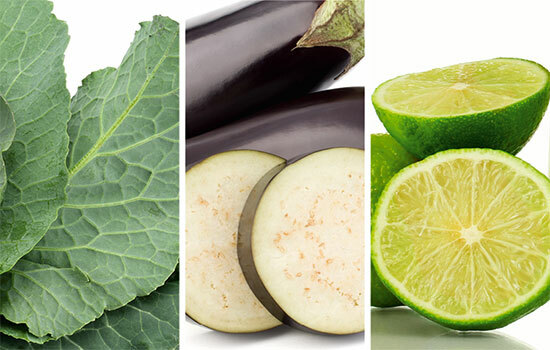 • Eggplant – A food rich in vitamins and minerals, it helps reduce cholesterol levels and increases the sensation of satiety, and is extremely rich in fiber. • Cabbage – A powerful antioxidant, fighting free radicals and premature aging. In addition it is a source of vitamins and minerals essences for the proper functioning of the body. • Ginger – Food considered thermogenic (increases body temperature and energy expenditure, contributing to fat burning), ginger is a powerful anti-inflammatory, improves liver function, and improves the transport and absorption of iron by the body . • Lemon – Lemon helps to detoxify the body (Detox food), is rich in vitamin C, improves liver function, also helps in the transport and absorption of iron. So let’s get the recipe? Squeeze the lemon separately into the blender jar. Chop the eggplant and toss in with the two glasses of water, beat well along with the cabbage. Then co and take half an hour before having breakfast and if you want to take half an hour before the main meals. Since we do not eat dinner here, we take it twice. And that amount of revenue is for two. If you take it alone you can store it in the refrigerator to take later, if you want you can double the recipe and save it in the refrigerator to take in other meals.